If you do not know who the magnificent Penn & Teller show are then you have never seen television or you have never been to Las Vegas. 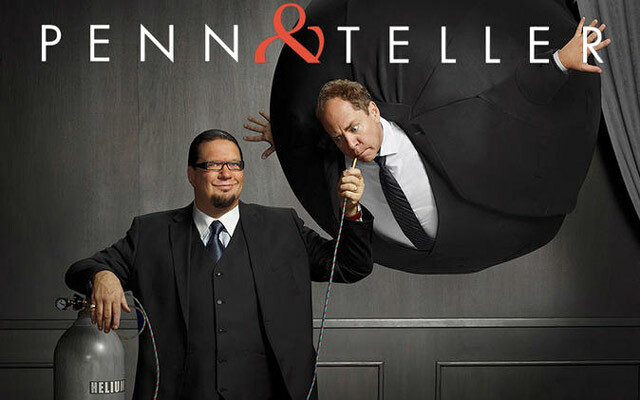 Nobody does Comedy and Magic quite like Penn & Teller . 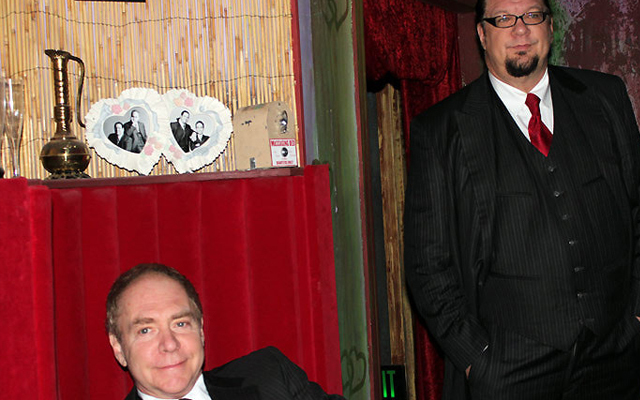 The team of Penn & Teller has worked together on Broadway, on television, and around the United States. Now, the duo has found their place at their permanent home in Las Vegas. 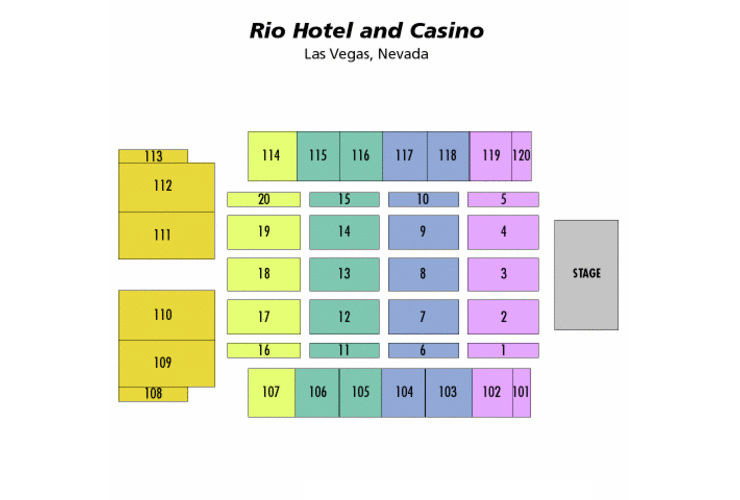 Penn & Teller perform at the Rio All-Suite Hotel & Casino. 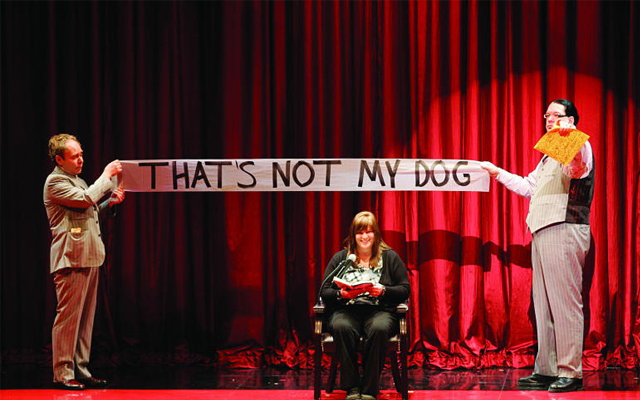 You will find Penn and Teller almost more than you can handle as you laugh so hard you cry. Their provocative style provides a fresh new take on magic. They also love to switch up their show so each night is a new experience with different illusions and comedy routines. Some of their most popular routines involve ducks, knives, showgirls who eat fire, and guns. 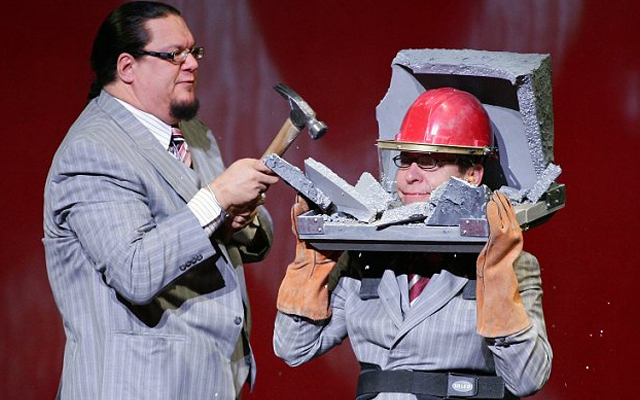 It sounds incredibly dangerous and that is why Penn and Teller make a point to tell you not to try this at home! 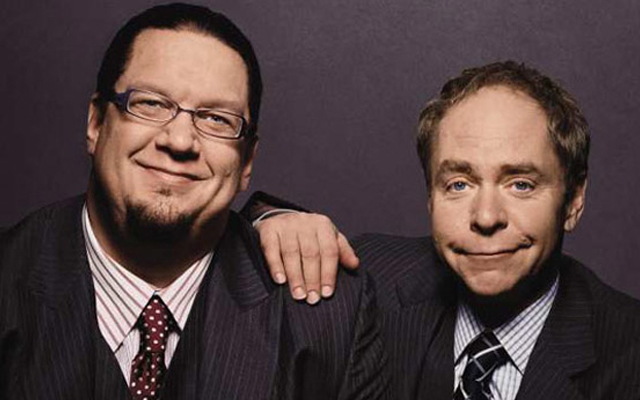 Penn & Teller have been given the nickname the "Bad Boys of Magic" and with good reason. The duo has broken the code of magicians by revealing some of the secrets of how they perform their tricks. Of course, there are plenty of illusions you will see, which are both shocking and surprising. They are not going to reveal all their secrets, so the most grand of illusions for magicians are truly safe. You may have seen Penn and Teller on Showtime. They have a hit television series that airs weekly known as Penn & Teller: BS! They have also appeared in specials that have won Emmys. 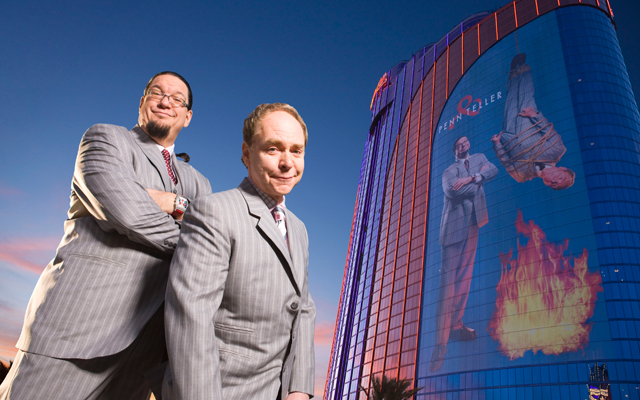 Penn & Teller are frequent guests on both The Late Show and The Tonight Show. The duo has been named "two of the funniest comedians alive" by Entertainment Weekly. Penn & Teller’s show has won awards. It was an instant success on Broadway and now you will have the chance to see it in Las Vegas. Nightly 9:00PM (Dark Monday and Tuesday) Dark Wednesday.. The show was boring and amateurish. After seeing them on things like Hollywood Squares and laughing at how funny they are, we were totally disappointed with their magic show. An extreme waste of money.